The C2Lite UT™ series offers a range of lightweight composite utility tanks designed to withstand years of tough conditions. Ideally suited to commercial and residential applications, the C2Lite-UT™ series is available in a range of sizes and can be installed with optional accessories such as air volume control kits and air injectors making it suitable for various applications including water storage, contact, hydro pneumatic and degassing. The MixMaster™ series of baffle tanks are highly effective contact tanks designed for use in chemical dosing disinfection systems. Available in 300 and 450 liter models, the MixMaster™ series features an internal baffle chamber which helps to ensure uniform mixing and sufficient disinfectant contact time to meet stringent standards set by health agencies such as the EPA. With a baffle factor of 0.6, fewer tanks are required to maintain a 4-log treatment at 10 minutes of contact time. 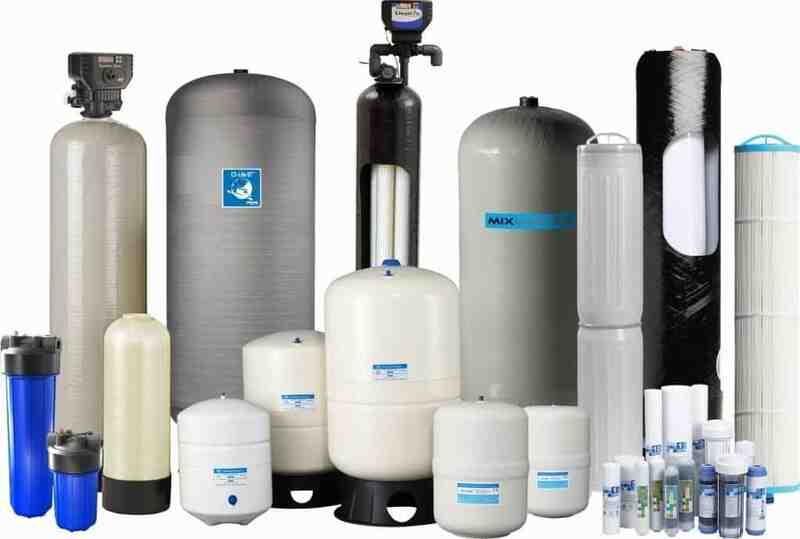 The RoWave™ (Reverse Osmosis) range of vessels are designed for storing reverse osmosis treated water and are suitable for domestic and light commercial applications. Global Water Solutions’ domestic filter range consists of premium quality housings, melt blown polypropylene sediment filters, as well as activated carbon cartridges and inline filters.